Both Western and Eastern medicine have much to contribute to an individual's health and well being. Combined, they form a powerfully effective diagnostic and therapeutic health maintenance system. Acupuncture is one branch of Chinese Medicine that includes a combination of theoretical and empirical knowledge as well as clinical experience in the cure of diseases through the application of needle stimulation, moxibustion, cupping, and other techniques. This science is supposed to have started a long time ago, approximately 4,500years ago in China. Although of ancient origin it is still continually developing. With the help of modern advanced technology and instruments such as ultrasound, infra-red and a new laser apparatus, we have improved its therapeutic applicability and benefit. Much recent scientific research has contributed to a clearer comprehension of acupuncture. Besides those more important neurological or neuroendocrinological effects that have been established, acupuncture also has been proven to be effective in some allergic, immune and degenerative problems. Although it is an old science, this is a field that still has a lot of things to study and much new knowledge to discover. This is why there have always been new or changing concepts throughout its long history. For example, new acupuncture channels and points been found with recent related research. According to Acupuncture theory, our human body represents a state of equilibrium between negative and positive energies (they are called Yin and Yang in Chinese). For example, we may use Yin (negative) and Yang (positive) principles to illustrate that phenomenon in human organs. 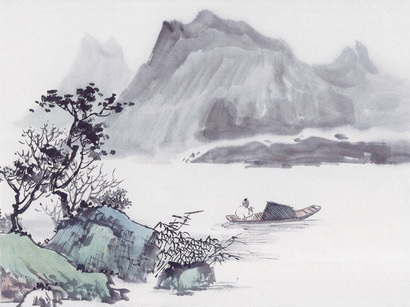 Those that are the superficial, excessive, hot and functional conditions of the organs are seen as Yang in nature. Those deep, deficient, cold and structural states and conditions are called Yin. If the energies Yin and Yang are in perfect harmony, the organism is healthy. On the other hand, disequilibria between these two energies within the body or any organ is considered unhealthy or in a state of disease. This may or may not coincide with disease as defined by morphological tissue change or the presence of invading organisms. 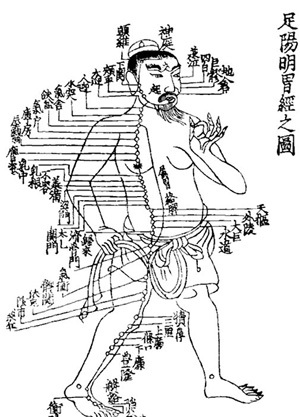 In the art of acupuncture, one employs different techniques and procedures that will stimulate reflex points to reestablish equilibrium. In this way acupuncture achieves its therapeutic effects. "… the sheer weight of evidence demands that acupuncture must be taken seriously as a clinical procedure of considerable value." National Institutes of Health research studies have also proven acupuncture's therapeutic value.